Although not as famous as Multnomah Falls, Latourell Falls, just east of Portland, Oregon, USA is a beautiful display of the power of mother nature. The 76-meter cascade of frigid water is just a 5-minute walk from the parking lot off of I-84. These falls are unique in they fall over the lip of a cliff-face and plunge, without touching the walls, to the basin below. They are named after Joseph Latourell, a 19th-century pinoeer of the west who became postmaster of the Rooster Rock Post Office in 1887. The day I visited was cold and overcast but is made for some fun photography. There is also a nice restaurant and museum near the base of the falls. 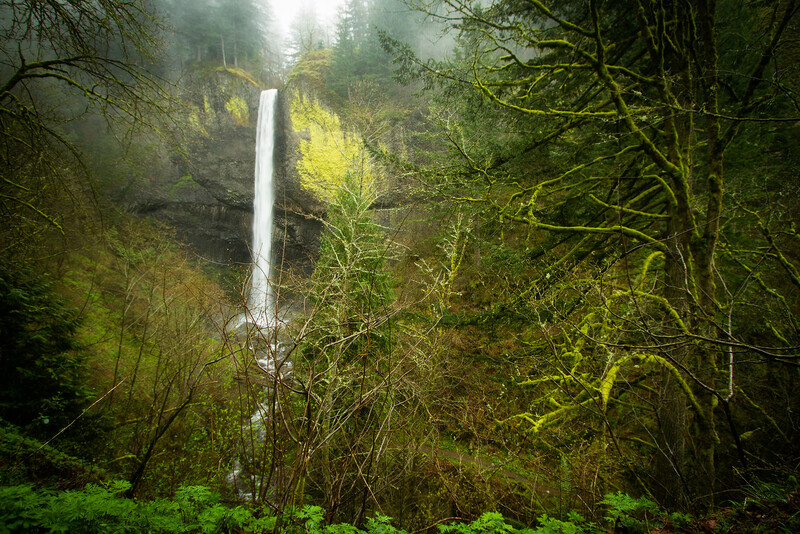 Throw in good friends and a warm beverage and Multnomah Falls is a great visit even on an inhospitable day. Amazing pics! thanks for sharing!